This book has gotten rave reviews; I'm pretty sure all my Goodreads friends have given it 4- or 5-star reviews. 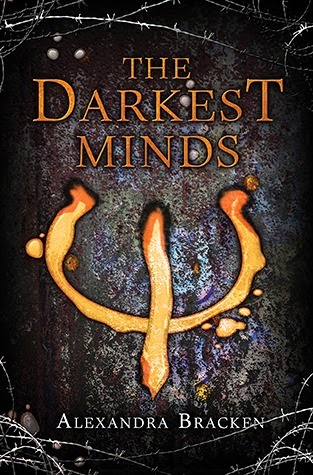 And The Darkest Minds definitely lives up to all the buzz. It's a great balance of action, world-building, character development, and strong writing. What made this sci-fi/dystopian world even more creepy for me is the fact that it's set where I live: Virginia. I knew many of the places the characters traveled and talked about, so I definitely felt very immersed in the world. Not only is the world-building fantastic, I loved the strong characters. Bracken really excels in writing characters who are original and ring true, and I fell in love with all of them. A certain flashback scene with Ruby, the main character, nearly made me cry. The only thing that felt a little off was the pacing. This book is just so long, and I felt like some of it could have been chopped off to make it slightly shorter. Still, I appreciate how thorough Bracken is with her storytelling; it's quite obvious that the plot was carefully and expertly crafted. I definitely can't wait to get my hands on the sequel! I have so many reviews I need to write, I honestly didn't intend on writing one for this book, but it left such an impact on me that I can't help myself. This book made it onto my all-time favorites, which, according to Goodreads, only consists of 69 of the nearly 900 books I've read. I really can't recommend it enough. 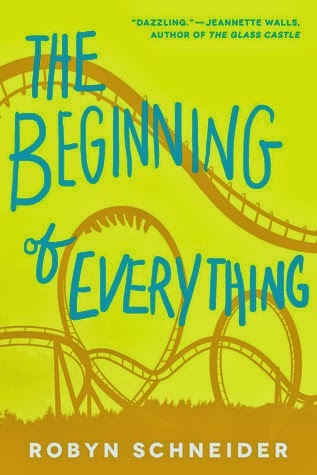 This book is perfect for fans of John Green. The quirky writing style reminded me of him, as well as the nerdy characters and the heartbreaking ending. Oh, the writing. Sometimes, books have these rare and perfect quotes that just relate so much to what you're going through at the time you read it. That's how this book was for me. There are so many fantastical lessons to be learned from this book; like how to make choices for yourself and to not let other people tell you how to live your life. I know that may sound corny and obvious, but it's true. This book just struck a chord with me. Plus, the Doctor Who references just made it even more awesome. And the characters and romance? Don't even get me started. The romance is so real and bittersweet, it will break your heart. And the characters' stories completely resonated with me. I could go on all day about how wonderful and relatable they were, but this is supposed to be a mini-review, so I'll keep it short and sweet. 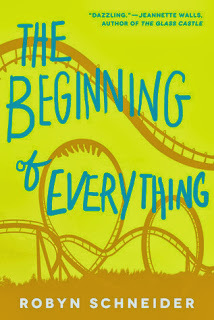 Basically: whether you're a contemporary fan or not, The Beginning of Everything is a must-read. Hmm, I didn't care for Just Like Fate very much. Although it's a fast read and there are a few moments where I empathized with the characters, overall this book left a mediocre impression. I just wasn't crazy about many of the choices Caroline makes. First off, who on earth leaves their dying grandmother in a hospital to go to a party? Just...what? The summary claims Caroline goes to a party to "live her life," but to me, going to a party while her grandmother is close to death proves nothing but Caroline's stupidity and immaturity. This was the first moment that seriously irked me (along with Caroline's insensitive and clichéd best friend), and I couldn't get over it throughout the whole book. Then the "other" Caroline gets together with her crush Joel, who is a complete jerk, except she's too blind to see it. So yeah, I couldn't really stand either of the Carolines. There were a couple stuff I liked - Chris (the other love interest) is very sweet and funny, and his character was the one that really seemed to stick out to me. And I did like the unsteady relationships between Caroline and her dad, as well as Caroline and her sister, and how they developed throughout the book. 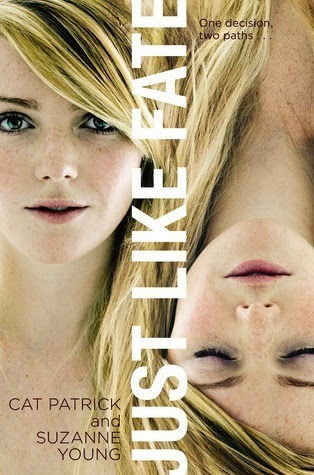 Unfortunately, it wasn't enough to make me like this book. I'd had high hopes since the premise is similar to Pivot Point by Kasie West, but sadly, Just Like Fate didn't wow me as much as I'd hoped.